The main opposition party, the Peoples Democratic Party, says Acting President Yemi Osinbajo is not in charge of the country. It said actions taken by the Acting President had shown that power was not handed over to him contrary to the claim by the Presidency that ailing President Muhammadu Buhari ceded power to him (Osinbajo) before leaving Nigeria for London on medical trip more than 90 days ago. Spokesperson for the party, Dayo Adeyeye, who spoke with one of Punch correspondents on Sunday, wondered why the Acting President had refused to assign portfolios to the two ministers that were sworn in more than two weeks ago. Adeyeye, who was a former minister of state for works, observed that the action of the Acting President indicated that he was just a figurehead. He said, “The Acting President is not in charge of the country. He is not in charge of anything. This is why nothing is moving forward. “How do you explain a situation where two of the ministers who were sworn in after much pressure from the people and the National Assembly have not been assigned portfolios? “He is not in charge. He is a mere figurehead and cannot do anything. The cabals are still in charge. That is why nothing is moving forward in this country. “The two ministers are just idle. They have no offices, nowhere to resume to and nothing to do. What is the essence of their being sworn in then? They are ministers without portfolios. The ministers are Prof. Stephen Ocheni from Kogi State and Mr. Suleiman Hassan from Gombe State. Twenty days after Osinbajo administered the oath of office on the ministers, they have yet to be assigned portfolios. Ocheni and Hassan were inaugurated on July 26, 2017, in Abuja. Their inauguration came after another long delay since May when they were screened and cleared by the Senate. It also took a resolution and an ultimatum issued by the House of Representatives for the ministers to be inaugurated. Adeyeye said it was apparent that the All Progressives Congress was not ready to rule, adding that it won the 2015 presidential election in error. He asked Nigerians to be patient, adding that 2019 would soon come when new elections would be held. Meanwhile, Members of the House of Representatives on Sunday called on Osinbajo to assign portfolios to the two new ministers. Some lawmakers observed that the delay was abnormal and asked Osinbajo to take the necessary action by assigning portfolios to the ministers. One of the lawmakers, who is from Lagos State, Mr. James Faleke, noted that the ministers seemed to be idle, a development that he said defied explanations. He also stated that the ministers were appointed on the basis that there were vacancies in the Federal Executive Council to be filled. Faleke added, “I don’t think that this is the way things should be. The 1999 Constitution is specific on the issue of representation of each state in FEC. Kogi and Gombe states were left out for a long time. “Now that the ministers have been appointed and the Acting President has inaugurated them, they should be given portfolios. They were not idle before they were appointed ministers; they were doing something. But, now they are left hanging. Sunday said that he did not know how long it would take for the Acting President’s shortly to come to reality. He said, “It s surprising what is happening these days. It will appear that this government is confused. It took months after Ocheni and Hassan were cleared by the Senate for them to be inaugurated. 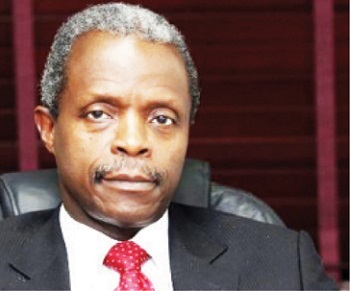 “There was even a resolution by the House of Representatives for the Acting President to inaugurate the ministers. What the Presidency has done is partial compliance with the resolution of the House. “So long as the ministers have no portfolios, it is still a case of saying no ministers. Nothing really has changed from the situation we had before their inauguration. However, another member, Mr. Johnson Agbonayinma, said in as much as it was important to assign portfolios to the ministers, not doing so right away did not mean that they were not useful to the government. Agbonayinma said it was possible that Ocheni and Hassan reported to Osinbajo daily and Osinbajo assigned duties to them to perform. “Sentiments or complaints should not come in yet. Are we sure that the ministers are just sitting at home and not doing anything? Do we know whether the Acting President consults them and assigns some responsibilities to them? “Let us be cautious for now,” he added. Ocheni was nominated as a replacement for the late James Ocholi, who died in a car crash. Ocholi was the Minister of State for Labour and Employment before he passed on. Hassan, on the other hand, is a replacement for Mrs. Amina Mohammed, the Minister of Environment before she was appointed as the Deputy Secretary-General of the United Nations. When contacted on the telephone on Sunday, the Senior Special Assistant to the Acting President on Media and Publicity, Mr. Laolu Akande, said portfolios would soon be assigned to the two new ministers. He however did not give a specific time that it would be done. Akande also did not give any reason why the exercise is being delayed. “Very soon, portfolios will be assigned to the new ministers,” he simply said. But another Presidency official, who spoke on condition of anonymity, told one of our correspondents that the exercise was being delayed by a major cabinet reshuffle being planned by the government. He said it would not be proper to assign portfolios to the two ministers now and then effect the cabinet reshuffle shortly after. “The truth of the matter is that there is going to be a major cabinet reshuffle soon. The thinking is that there is no need to assign portfolios to the new ministers now. It will be done soon,” the official said.